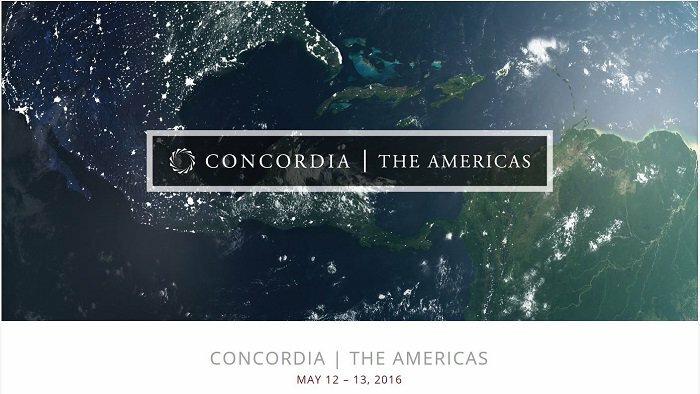 Rodney Ferguson, president and CEO of Winrock International, will join a gathering of public and private sector leaders at the the Concordia Summit on the Americas to discuss economic and political issues affecting the region. Ferguson, in his role with Winrock and as a founding member of The Cuba Consortium, is one of a group of leaders tracking and fostering the normalization of relations between the United States and Cuba. Winrock representatives have traveled to Cuba to meet with farmers and leaders to explore innovative ways to share improved farming practices and open up new markets. Ferguson will be joined by Winrock Vice President of Business Development and External Affairs Chris “Kiff” Gallagher. For more information on Winrock’s developing history with Cuba, please refer to the information below. In early 2015, Winrock began exploring opportunities to engage with agriculture producers and stakeholders in Cuba. These initial discussions reaffirmed that American organizations like Winrock can help close knowledge gaps that exist within the agriculture sector. In March 2015, Winrock International sponsored an assessment trip to Cuba, which included Winrock staff and three expert volunteers, to assess needs and opportunities for future exchange in the agriculture sector. The team met with farmers, cooperatives and other organizations, including the Association of Cuban Agriculture and Forestry Technicians (ACTAF) and the National Association of Small Farmers (ANAP). During the initial assessment, Cuban producers and other stakeholders reaffirmed the significance of agroecology in Cuba, especially regarding the urban agriculture movement. There was also strong interest in assistance on developing a national organic certification system. At the request of ACTAF, Winrock participated in the country’s first National Conference on Organic Certification held in conjunction with the Cuban Ministry of Agriculture. Winrock’s CEO, Rodney Ferguson, joined an advisory board to the Cuba Consortium in July 2015, which guides companies, nonprofits, investors and entrepreneurs regarding U.S.-Cuba normalization. As relations between the two countries progress, the Consortium, launched by The Howard Baker Forum, is creating pathways to normalization through reform, commerce and investment. In September 2015, Winrock participated in a trade delegation of Arkansas government and business leaders organized by the Arkansas World Trade Center and led by Arkansas Governor Asa Hutchinson. In October 2015, Winrock signed an MOU with ACTAF to formalize a mutual interest in collaborations that support agricultural development and food security in Cuba. In March 2016, Winrock convened The Cuba Consortium Agriculture and Food Roundtable in conjunction with The Howard Baker Forum and the Winthrop Rockefeller Institute. The Arkansas retreat featured high-profile American and Cuban leaders, agricultural representatives, and policy experts including Senator Tom Daschle, Cuban trade official Ruben Ramos Arrieta, and University of Havana and Yale professor Dr. Reinaldo Funes Monzote. Winrock International is organizing an exchange trip to the U.S. for Cuban agricultural producers. Working in coordination with ACTAF, ANAP and other key associations and research institutions, Winrock identified participants for the June 2016 visit to Arkansas and New York. Winrock is sponsoring the participation of renowned livestock expert, Dr. Max Rothschild, in the 5th International Livestock Congress. Organized by the Cuban Research Center for Animal Improvement of Tropical Livestock (CIMAGT), Rothschild will deliver an opening address focused on genetic improvement programs in livestock. Winrock International is a recognized leader in U.S. and international development with a focus on social, agricultural and environmental issues. Inspired by its namesake Winthrop Rockefeller, Winrock combines scientific and technical expertise with entrepreneurial innovation to deliver market-based solutions that improve lives around the world. Winrock’s mission is to empower the disadvantaged, increase economic opportunity and sustain natural resources across the globe. For more on Winrock, click here.